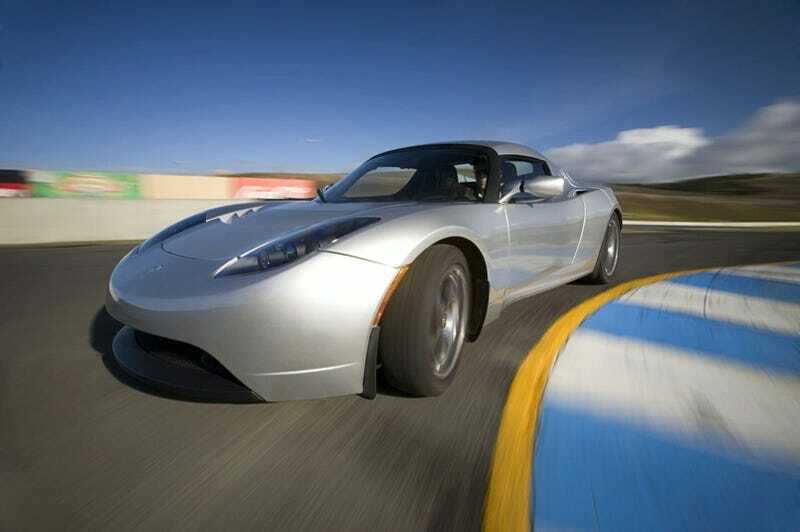 Tesla Roadster One-Make Electric Vehicle Racing Series In Discussion? Two separate Middle Eastern groups are looking at starting a Tesla Roadster one-make racing series. If it actually happens, it would be the first all-electric vehicle racing series. Two separate groups, one in Dubai and one in Qatar, are each in serious talks with Tesla Motors as they compete to establish the world's first electric sports car championship racing series featuring Tesla Roadsters. Time will tell if either group succeeds in the face of the worldwide economic recession and Tesla Motors' ongoing financial difficulties. What is not in question however is the Roadster's performance – with a 0-60 MPH acceleration time of less than four seconds, the Roadster should prove fast enough to enthrall race fans. While Tesla Roadsters are not currently sold in the Middle East, European Tesla sales and marketing director Simon Rochefort has indicated that a Middle East Tesla distribution network is in development and should be finalized within the next few years. Rochefort went on to mention that some individuals in the Middle East had already purchased Tesla Roadsters in the United States and imported them on their own. A group in Dubai is also looking to bundle Tesla Roadsters with homes on a new energy-independent island in the Persian Gulf. In addition, the group is interested in creating a rental fleet of Tesla Roadsters and a taxi fleet made up of Tesla's upcoming Model S sedans."